(Bloomberg) — U.S. investors are piling into an exchange-traded fund that tracks the Canadian pot industry as the country moves toward legalization and liquor producers show growing interest in selling pot. The U.S.-listed $436 million ETFMG Alternative Harvest ETF, known by its ticker MJ, has taken in about $22 million in August, putting it on track for the largest monthly inflow since February. That asset growth has been fueled by a 35 percent surge in the fund’s price since Aug. 14. Pot stocks have been soaring amid Canada’s pending legalization of recreational cannabis on Oct. 17 and growing speculation that other industries will buy in. For example, Tilray Inc., a Canadian marijuana pharmaceutical maker, has more than tripled since it started trading on July 18. A major boost for cannabis shares came two weeks ago, when alcohol giant Constellation Brands Inc. invested $3.8 billion in Canadian marijuana maker Canopy Growth Corp., the biggest deal yet in the burgeoning industry. Since the move was announced on Aug. 15, the BI Canada Cannabis Competitive Peers index has gained more than 30 percent, including 3.7 percent Wednesday. Last week, BNN Bloomberg TV reported that the global liquor giant Diageo Plc is seeking a cannabis partner, raising market speculation over who that may be. Molson Coors Canada Inc. also announced a joint venture with Hydropothecary Corp. to develop non-alcoholic, cannabis-infused beverages. However, while the U.S.-listed fund is going strong, a Canada-listed counterpart is struggling. 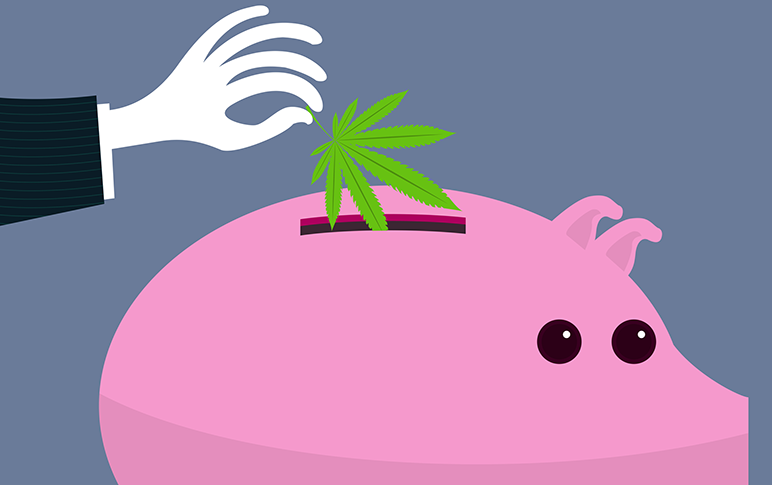 The $703 billion Horizons Marijuana Life Sciences Index ETF, ticker HMMJ, is on track for its biggest month of outflows since it began trading in April 2017, with $6.1 million leaving the fund this month, including $5.1 million on Tuesday alone.